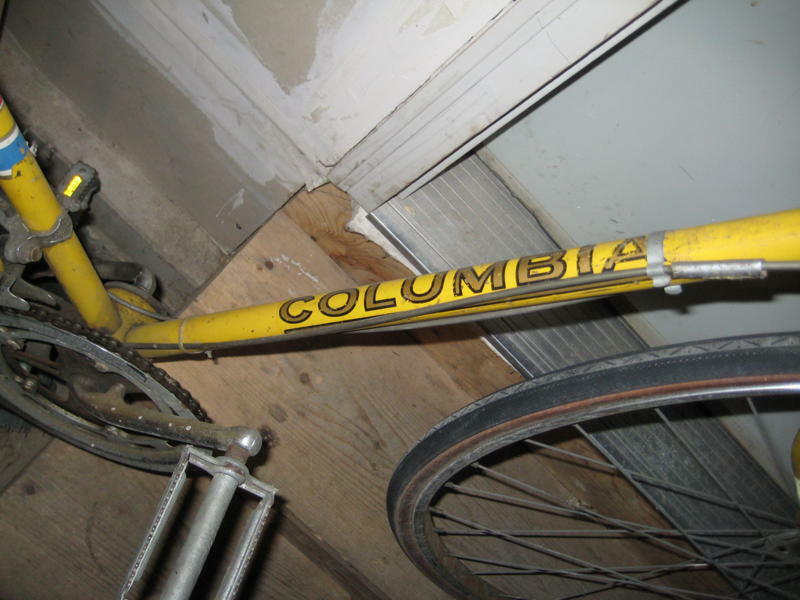 Today’s OTS represents what has to be the nicest Columbia 10-Speed we have had the pleasure of featuring. Carl did well for himself with the $9 initial investment. I say treat this baby to the nicest pair of Cheng Shin gumwalls you can find, give it a coat of wax and hit the road. I need your help. Just picked this up at the thrift store for 9 bucks. It looks like it is in pretty rough shape. I want to get it fixed up a bit so i can ride it to work. 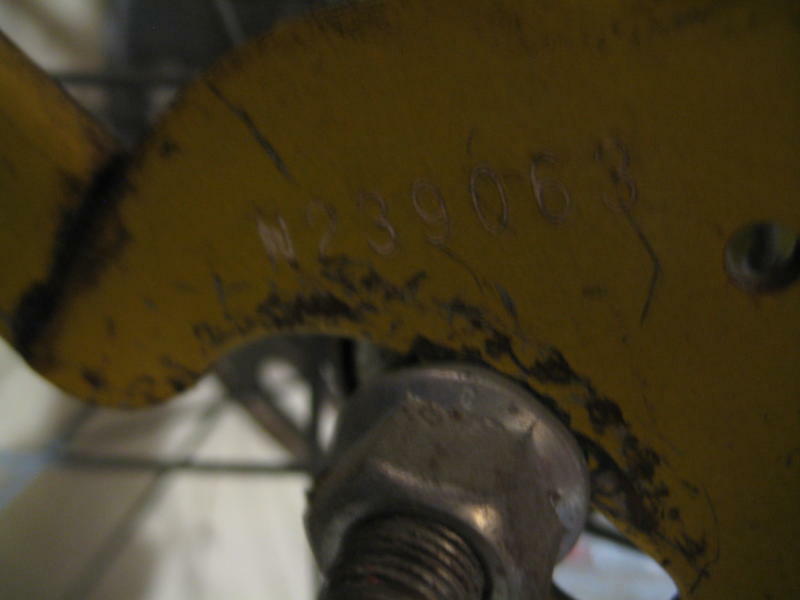 I found the serial number on the dropout. N239063. This much I do know: It is yellow, it is a ten speed, it is a Columbia and I think it is late 60’s early 70’s. For nine bucks, I’d be tempted to ride it as-is until something breaks! The pedals, assuming they’re original, seem to have the reflectors, so that would put the age of the bike at ’72 or later. You can`t go wrong for 9 bucks! About those Cheng-Shin gum-walls. I would “suggest” you try Kenda Gum-Walls. I have had better luck “seating” them on the rim. And better luck with them staying there. I have found if you search Google (shopping) you can usually find them pretty cheap.I wonder if anyone else out there in “old ten speed land” has found this to be true for them too. TK was November of 1977 in Japan. The frame serial number was from 1978 so I was able to pinpoint the year as 1978. 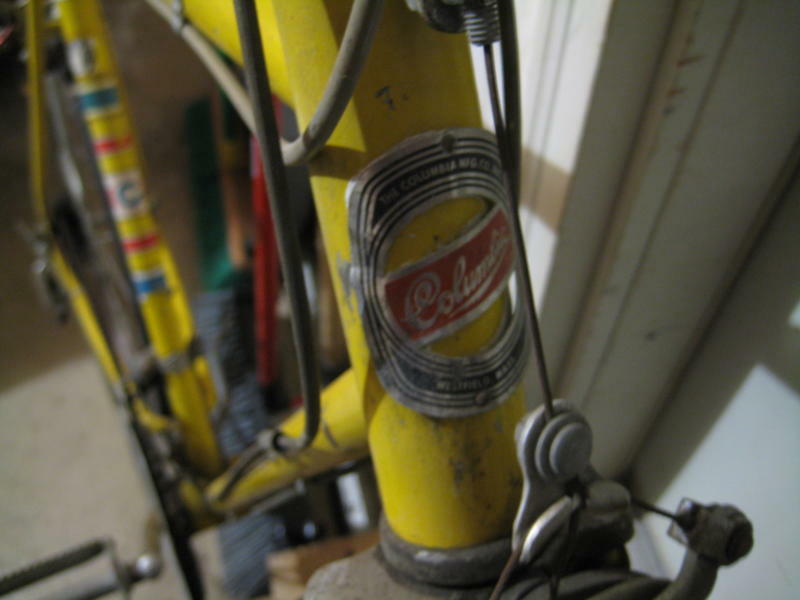 I noticed your bike has the Columbia badge. 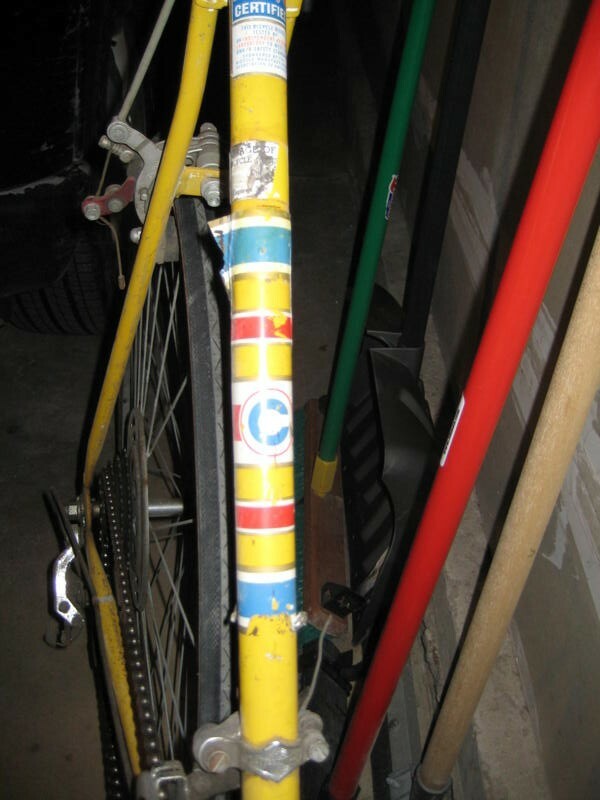 Mine has a foil sticker instead of the badge so your bike is pre 1978. Here is a link to the website, even if your hardware isn’t Suntour, they give codes for several hardware manufacturers. on the weekends when the weather is favorable. Since having my bike posted last September, I added a vintage “Archer Road Patrol” radio to my bike. I hope you enjoy your bike once you get it going. The bike looks pretty descent considering its probably 30 or 40 some years old. Here is the link if you haven’t already checked. Oil, oil, oil, then oil some more, then ride. Outstanding! I have this exact bike. Bought mine for 8 dollars at a church garage sale 🙂 Same color, etc. Mine is a 1966 Columbia Lenox. i just found this bike in the trash. 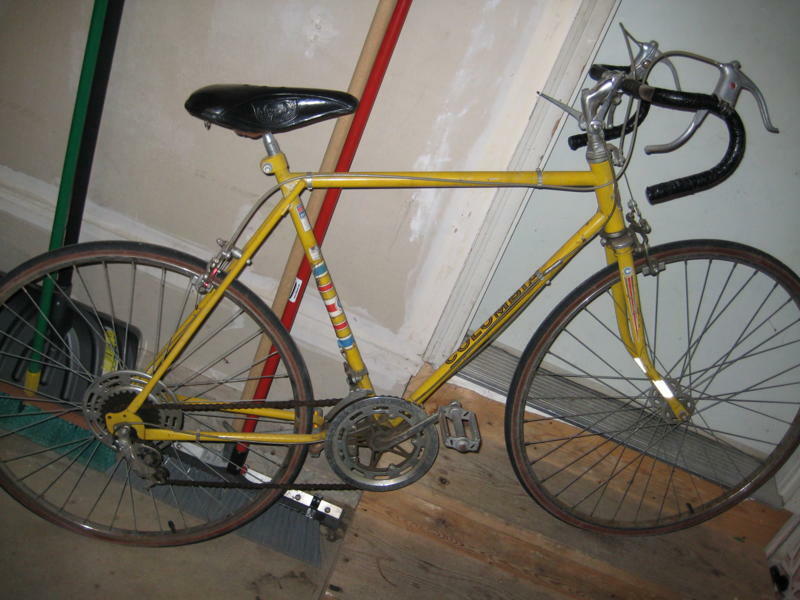 I have one JUST like this, serial number: N52173, i believe it is also a 1964 (not 1970 like i originally thought) sat in a basement its entire life and it only has 1075 miles (2 put on by me). i picked it up off the original owner who has taken excellent care of it. adjusted cables and re-greased the chain and it rides like brand new. 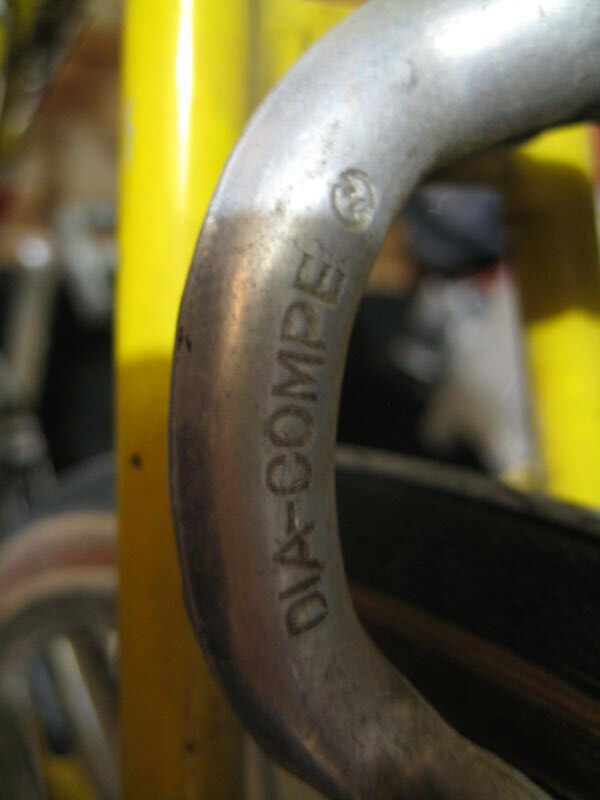 I had this exact same bike brand new in eighth grade, which would make mine 1974. The rear derailleur was probably the weakest link. It was steel and I replaced it with an alloy Suntour. Remember think the bike was getting lighter due to the alloy, probably slimmed it down to a svelte 34 lbs. i had one of these, rode it to school. Had bought it for me at yard sale in 1976 and it looked brand new.